TrackSW software includes a wide range of features. Each feature has a link to manual: more detailed explanation on how it works/how to use it. Every manual is accompanied with pictures for easier understanding. You can also watch a short video on YouTube, showing TrackSW WEB application in action, or try out the application yourself with Live Demo. With private drive, you can allow vehicled to not to display tracking data in TrackSW software. An example of private drive usage is giving company vehicles to an employee to use it outside of work hours – private drive will hide data where wes he driving, however the distance travelled is still calculated. 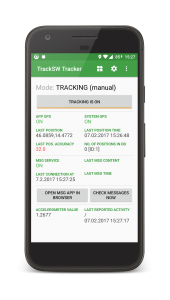 TrackSW GPS Tracker is an Android app that can turn your phone into a tracking device, so you can follow phone’s movements just like tracking any other classic device. 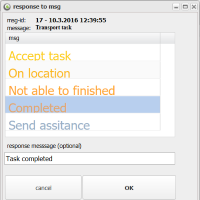 Messaging allows you to exchange messages between TrackSW software and devices. 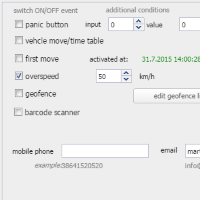 Vehicle drivers use a small web application to receive messages and respond to them. This way, the communication is kept direct and is integrated into TrackSW software. For each device, you can set up which events you want to be notified about. There are a few events avaliable, like first move or overspeeding. Notifications can either be sent by e-mail or text message. Points of interest (POI) are special locations marked on the map. With POI, you can save important locations (i.e. locations your devices often visit). POI can be shown in history (works as a seperate layer) or used in reports. Tracksw supports driver identification with iButton keys. Every driver/user of the vehicle identifies itself by using the key with iButton key reader. Every key has it’s own unique identifier – serial number, that is forwarded to Tracksw system. This way, you can see exactly who used the vehicle at any given time, using wide report. 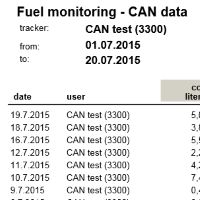 CAN fuel supervision (or monitoring) allows you to track the amount of fuel in your tank and gives you an overview of fuel spent while travelling. History with multiple layers allows you to preview history for multiple days and/or devices on the same map. Every layer gets it’s own color, making it easy to see and compare movement of a device on various days, or movement of different devices (on various days). With location search function, you can calculate the distance between searched/selected location and one of your devices. 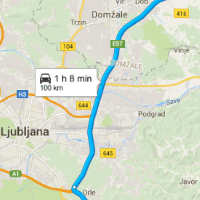 Using google maps’ calculation, it gives you distance in kilometers and estimated time of arrival (ETA), and along with it you will also get a link to Google maps with selected route. Reports tab allow us to check over past movements of devices efficiently. Though reports can contain a lot of data, they are easy to use and search through. There’s also an option to make PDF reports for printing or exporting data in Excel format. Beside classic drive/stops report, there are also advanced reports giving you full power over fetching data from device’s records. Device movement simulation is a special function, built in history tab. It allows you to watch a live preview of tracking device’s past travel. 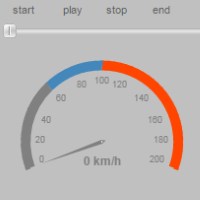 Simulation shows device’s movement point by point, displaying location, time, speed and all other data. Tracksw’s history tab offers functionality for overviewing past movement of the devices. 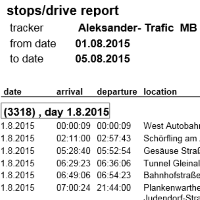 Being displayed in easy-readable way, you can see all the history data your tracking device sends. Device filters and device groups allow you to easily organize a lot of tracking devices. 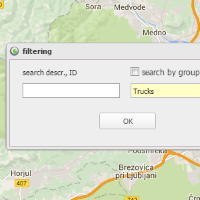 You can create device groups to join similiar tracking devices together (like Trucks, Cars). On Current state’s device list, you can filter devices by group, by name or by ID. Cu rrent state is the main tab of Tracksw Web application, and is shown upon logging in. It is divided on two parts: a list of all your devices, and a map with all your devices marked on it. Here (on this tab) you can see current location and other data of your devices. There is also an option to edit each device’s settings, including display icon and name, event notifications, digital inputs and more.